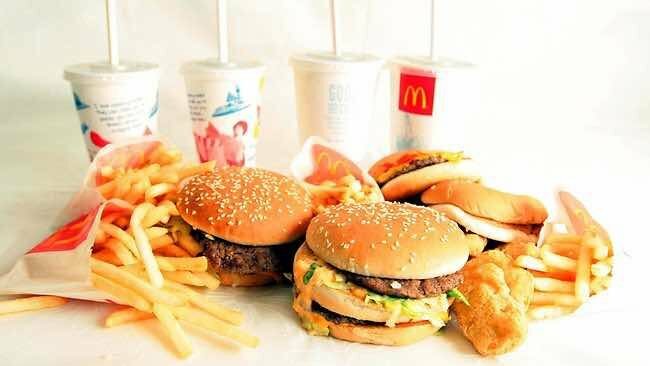 McDonald’s is the largest global fast food giant, with 18,710 restaurants located around the world. That means one thing; their incredible burgers, fries, McNuggets and other meals are legendary and satisfy our cravings, no matter what language we speak. Some of us order too much to take home and then aren’t sure how to prepare for the same delicious quality. Can it be duplicated? That’s the big question. Can You Reheat McDonald’s Food? Yes, you can reheat McDonald’s food. Thank goodness for that, because millions of us love stocking up on food from the Golden Arches. There are proper ways to get the best flavor out of McDonald’s burgers, fries and other yummy choices. So, read on. Can You Reheat McDonald’s Burgers/Big Mac? Yes, you can reheat McDonald’s Burgers/Big Mac. How To Reheat McDonald’s Big Mac Burgers? To get the best taste out of a burger, the oven is your best friend. Food experts suggest “deconstructing” the burger to ensure even heating and original flavor. For example, the Big Mac comes with Two all-beef patties, special sauce, lettuce, cheese, pickles, onions on a sesame seed bun. You will need a cookie sheet lined with parchment paper; pre-heat the oven at 350 degrees to begin. Start disassembling your Big Mac by laying out the two beef patties and three buns separately on the cookie sheet. Remove the lettuce, pickles and onions and most of the sauce if you can. Save these for later, and better yet, if you have fresh lettuce, shred some for your reheated burger. Place the cookie sheet into the oven, and allow the deconstructed Big Mac to warm up for about seven minutes. If the beef patties still are not hot enough, keep checking until you’re satisfied. Remove the patties and buns, and recreate your burger. How To Reheat McDonald’s Breakfast? Yes, you can reheat McDonald’s breakfast. Everyone loves a fruit-filled McDonald’s muffin for breakfast. To get a thoroughly warmed muffin with a firm exterior, pop one in an oven preheated to 350 degrees on a tray covered with aluminum foil, and heat for 15 minutes. How To Reheat McDonald’s Fries? Yes, you can reheat McDonald’s Fries. You can always microwave your favorite fries, but reheating with this method delivers a limp French fry that’s kind of soggy. We have a better way. Reheat those fries on the stove range using a frying pan. Food experts suggest a cast iron skillet is bet, but any pan will do. Add a little oil and cook the fries on medium heat for three to five minutes. How To Reheat McDonald’s Chicken McNuggets? Yes, you can reheat McDonald’s Chicken McNuggets. The microwave oven will work but can also make the McNuggets a bit tough. Your way to tender Chicken McNuggets is simple and involves your oven. Place the McNuggets on a parchment paper lined cookie sheet, and pre-heat the oven to 350 degrees. Ten minutes in the oven delivers great taste. How To Reheat A McDonald’s Sausage Egg McMuffin? Yes, you can reheat McDonald’s Sausage Egg McMuffin. One of the fast food chain’s most popular items is its iconic Sausage Egg McMuffin sandwich, featuring the yummy English muffin, fried egg, cheese and sausage. If you’re looking for speed, then a microwave oven is your go-to method. However, if you over-heat, breads can get rubbery. So, taking a little extra time in the oven is ideal for even reheating. Take a cookie sheet lined with parchment paper, and remove the wrapper your breakfast meal came in. Deconstruct the Sausage Egg McMuffin, by placing each ingredient apart on the sheet. Place the sheet in a pre-heated 350 degree oven for about 15 minutes. Then, put your Sausage Egg McMuffin back together again. How To Reheat McDonald’s Hash Browns? Yes, you can reheat McDonald’s Hash Browns. Warm them in the microwave for 30 seconds. Then, place the hash browns in a skillet on the stove on medium heat with a little butter. Use a spatula to turn them over; cook for about three minutes. Can You Eat McDonald’s Cold? No, you can not eat McDonald’s cold. That is unhealthy and not advised, especially with meats like beef, chicken and pork(sausage, bacon, ham). Use our wonderful, simple methods above, and still enjoy your delicious McDonald’s foods. 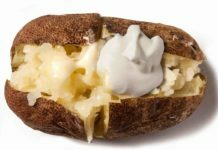 Next articleCan You Reheat A Baked Potato? What To Do With Your Left Over Baked Potato? What is the scientific basis for it being unhealthy to eat McDonald’s foods cold? Oh, there is none. It’s taste based. There’s nothing wrong with eating it cold out of the fridge or countertop if you didn’t purchase it too long ago. And so many grammar errors. What a mediocre writer.